An interior designer was heard to say, "A roof is like a hat on a lady. It's the crowning touch, and should be treated that way." Good to know. Give your roof a truly unique look. 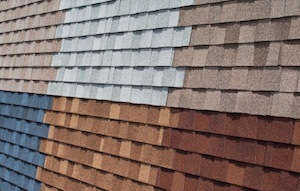 If you’re building a home and your builder wants you to select a roof “color” that’s one thing. If you’re starting from scratch, it’s quite another. An interior designer was heard to say, “A roof is like a hat on a lady. It’s the crowning touch, and should be treated that way.” Good to know. We’re talking about shingles, for the most part, unless you’ve decided to use a metal roof and are intent on scandalizing the neighbors. We have one in our neighborhood. It’s quite handsome, really, and the owners were careful to stay within bounds of good taste when they selected the color. Not only are there virtually hundreds of shingle colors, but textures, shapes, and types are dragged into this shindig as well. Best to start with color and keep it there for now. The colors come in black (oh, yes), and work through greys, browns, blues, greens and reds. What is the style of your house? If you can define your home as a style, you’ll have a good start on finding the right color. 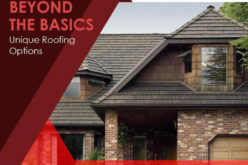 In looking at various styles I’ve noticed a roof color theme that seems to hold true—perhaps because most roofs are designed to accommodate the style—and it’s an easy way to make a choice when you are guided by precedent. For the most part, the colonial style residence used brick. In fact, red was the color of choice. 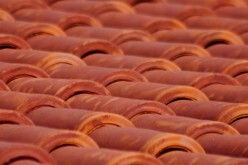 As a result, roof colors were chosen in terms of how they looked with red brick. Bottom line, if you’re living in or have chosen a Colonial home, you now have a palette from which to choose. Contractors will have stacks of brick sitting around the yard when they’re building. Take a few shingles out there and see which ones speak nicely to the brick. Ah, they had such fun with their homes, didn’t they? Lucky you, if you’ve found one. 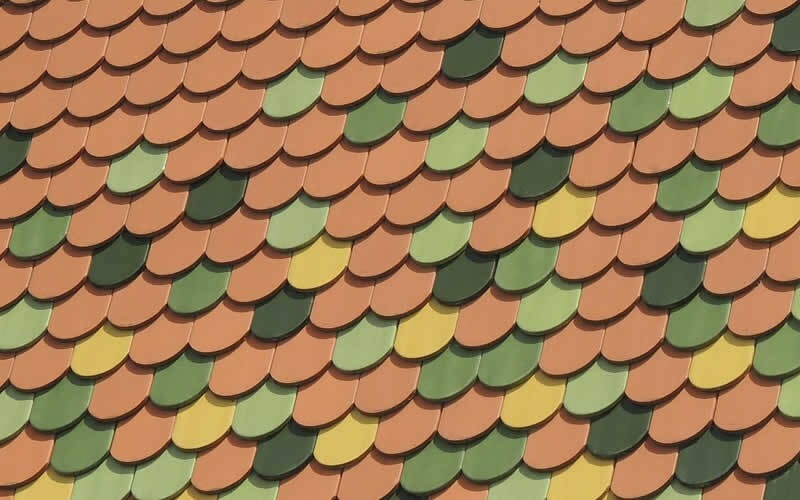 With all the do-dads they used on their roofs—finials and wrought iron and such—they seemed to be a bit more conservative when it came to shingle colors. Many of them were built using red brick, but the majority were built of clapboard and painted. If your home doesn’t need painting at this time, then you’ll have to bring a bevy of shingles home and try all the colors against the walls to see which are compatible with the existing color. Recall the style of the roof also. The more complex it is, the better off you are in choosing a subdued color. If the roof is a simple style, you can step it up a bit without risking a running competition between roof and walls, windows and whatnots. 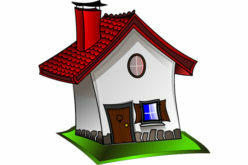 In general, roof styles for these homes run in simple shapes. No restriction on color choice here, so you’re free to go on a flight of fancy without fear. They can handle it, most likely appreciating a colorful “hat” to add charm to their rather simple style. All colors are welcome here; all one needs is a color wheel to see what compliments the wall color—or just go neutral and when you paint the house, no worries, the roof will accommodate the choice. More often flat than not, grey seems to be the usual choice, unless you’ve run into a wild and crazy architect who says, “Blue! We must have a blue roof! Nothing else will do.” Your house. You can override him, or fire him, if blue is the one color in this world you absolutely hate. Modern homes are usually very simple. However, there are those who do take dips and whirls, exposing some rather odd shapes to the folks on the ground. Perhaps that may be the clue to using grey. As the name implies this type is usually a spread-out, one story creature, which means the roof is closer to the ground, requiring a keen eye when selecting shingles. The style itself speaks more to the outdoors and suggests that staying within nature’s more “woodsy” palette is a good decision. Two-story, most often and usually built in the northeast, generally painted in cool colors. Ergo, cool roof colors to compliment. Icy Grey are the colors that adorn these delightfully simple structures. The palette for these romantic homes is always warm and sunny—some would say “hot” and the owner of a Spanish-style home has many choices among roof colors sourced in the warm side. Golden Brown may be welcome as well. However, it seems to work best with cooler walls. Orange would not be forbidden, but the walls would again need to be cool. Yes, this style competes well with the Victorians. Arches, entablatures, rococoed porticos, all work together to create a style that sings to itself. The roof? It can be any color that harmonizes with the paint choice. 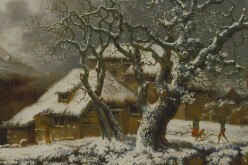 These homes are two-storied and quite often grey is selected, as the roof is almost flat. When raised, it gets a compatible color. Some daring owners have used just outright red. Grey is the better choice with a roof that doesn’t bring a lot to the style. With one exception, the mansard roof, the color of choice seems to be black, or a deep brown. 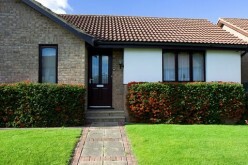 With wide eaves and/or porches, roofs are a major feature of these comfortable, airy homes. 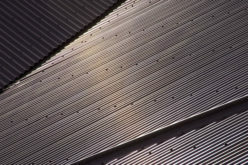 With the sun gracing them with its relentless UV rays, the best idea is to keep shingles light and cool. Even white is acceptable. Rare—but acceptable. Yes, you do see red, but that is usually a matter of choice for a style that simply calls for it. 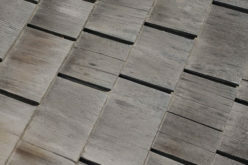 Give the roof due consideration before giving the contractor your choice. It will be a while before you make this selection again and your home deserves a nice hat. Doug Richards is a lifetime contractor in Florida currently operating a Tampa roofing office and a Ft. Pierce roofing office.